“When they go low, we go high,” Michelle Obama told the Democratic National Convention in her electrifying address last year. That phrase summarizes the stark contrast between Republicans and Democrats on the fundamental question of affordable health care. Republicans want you to have all the health care you choose to afford, even if you can’t afford much. Democrats understand that affordable health care should be a fundamental right. Having failed to pass four different bills to repeal and replace Obamacare, Republicans are back at it again. Backers of the new bill—labeled Graham-Cassidy after Senators Bill Cassidy (R-LA) and Lindsey O. Graham (R-SC)—claim to have 48 or 49 votes for this effort. Senate majority leader Mitch McConnell (R-KY) has asked the Congressional Budget Office to make the bill’s assessment a priority. The 141-page bill was only made public on September 13, but Republicans are pushing for a vote by the end of the month. The millions of Americans who were appalled by previous Republican efforts to gut affordable health care should be alarmed once more. Graham-Cassidy employs classic conservative packaging to dress up what it is peddling. 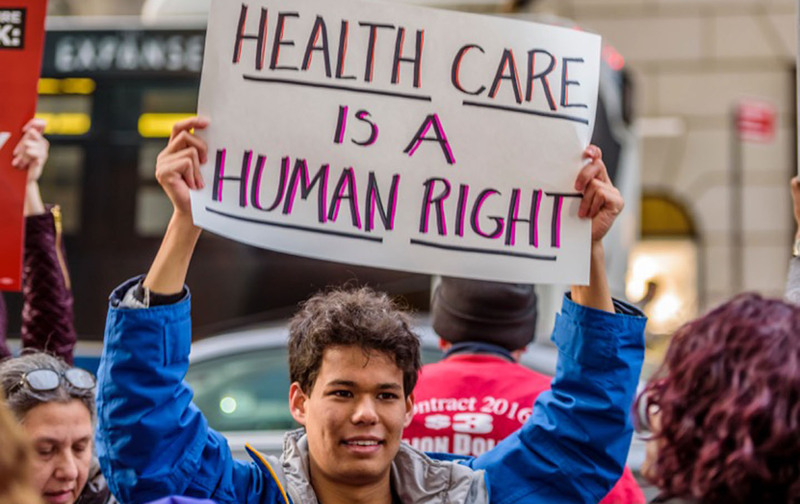 It turns health care over to the states, allowing Republicans to posture about getting “closer to the people.” Its cuts are phased in, delaying the effects until 2020 and the most destructive effects until 2027 and thereafter.